Sometimes the best meals come into your life quite unexpectedly and they stay with you forever – this is such a dish! Many years ago I was planning a dinner party and one of the guests came with a painfully long list of dietary restrictions, chief amongst them being the double-act of inconvenience that is veganism and gluten intolerance! As I suffer from neither affliction, my instinctive response was just to cancel the dinner altogether, problem solved! Never one to back down from a culinary challenge, however, I decided to go ahead with the dinner after all and serve the mother of all vegan cuisines – I went Indian. Your rogan joshs and butter chickens aside, Indian food is perhaps the most karma-conscious cuisine in the world. With a mind boggling array of vegan and vegetarian dishes to choose from, one is never short of tasty delights from the sub-continent. An Indian feast is always a great option for a dinner party as the multiple dishes needed, allow you to cater for a wide range of tastes and needs, all without compromising the overall success of the meal. Generally speaking, whether the dish be vegan or laden with meat, all Indian food goes well together. Which brings me to this particular recipe. 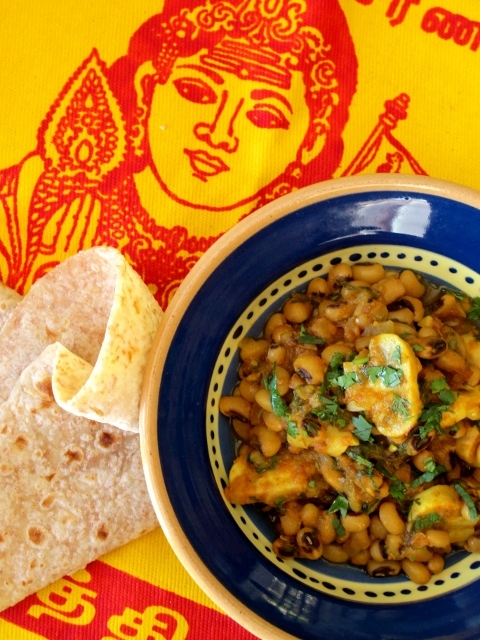 Lobia Khumbi (Black-eyed Beans with Mushrooms) is a great addition to any Indian spread, be it part of a full-on feast or humble midweek meal. 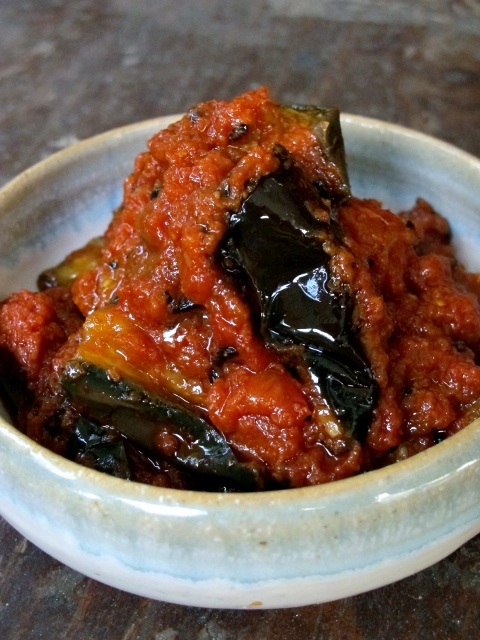 Hearty, wholesome and filling, this dish is so good it could almost turn me vegan! Whilst the black-eyed beans add an earthy undertone that balances out the spices, the mushrooms are actually the star of the dish, adding a “meatiness” that appeals to both meat-eaters and vegetarians alike. Add some tarka dhal and rice to the mix and you have a meal fit for the most pious (and discerning) monk. Who knew that good karma could ever be so damn dharma-delicious. Note: this dish also makes an excellent alternative to your traditional sides dishes like mash potato, as it is mild enough to “fit” comfortably alongside most flavours. I recently served it with some pan-fried fish, sautéed kale and a tomato lemon butter sauce and it was absolute fusion-heaven!